This race was another reason to keep up the summer training, the Boston Scientific Half Marathon as coordinated by the Clonmel Athletic Club. It was a lovely morning, sunny and yet not too hot, so just perfect conditions for a run. Got on location nice and early and to my utter surprise I bumped into a couple of work / football buddies from the Motorola Cork days, it was great to catch up and we all had a laugh in trying to suss out whether any one of us were going to run this in decent time. Once registered I headed for the new walk way that’s been created along the N24 by-pass of Clonmel. It was a great spot for doing some shake down runs and stretches, and given that the starting line was along the same route it worked out perfectly when it came to joining the start line for the gun. The number of runners was high and the starting line, come timing mat, was narrow so it made for some jostling at the start but it wasn’t that bad and off we went. Starting pace was mighty steady, I was really worried I’d burn everything in the first mile (yes miles, the course was measured in miles and I’ve finally got my head around what I should be pacing myself at, either in kms or miles and therefore the course markers become useful again). The 1st mile was actually too leisurely and so I picked up the run, I was aiming for 7 min per mile and I just wanted to do that time for as long as the legs lasted. I found the legs lasted until mile 7.5 and then I had a complete and utter slow down in pace, tank was running empty and the next wee while was tough. 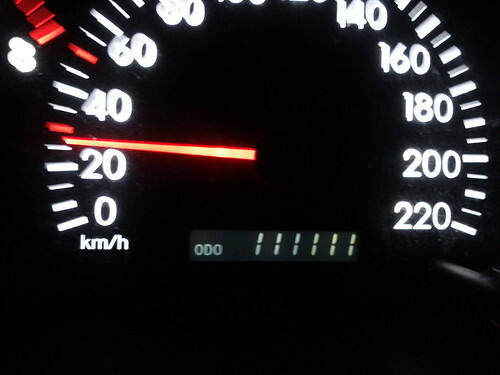 Then for some reason between mile 9.5 and 10.5 I found something, was back on track with the 7 min / mile. I then made one of those really bad decisions, out on course around the 10.5 mark the race officials were offering sweets. Now I thought, well if they have them on course then they must be of some use. No, no, no, no, no. The bloody things just dried up my mouth and were a real pain and there wasn’t a water station in sight. That was just plain wrong! And then I hit the slow long hill of the PoppyFields. Oh that hill just killed me, it took forever to get to the top and once there I still didn’t have much left, however they did have a water station and I managed to rid that problem with the sweets. The last few miles were funny, because in my head I was running as normal, but with everyone passing me, obviously I wasn’t, but I got towards the finish line and could see the timer, I was within goal time, fantastic, it was time to just bring it on home. Had a great reception at the finish line, with all the family there and I got to share with them my great delight in finishing the run in 1:39:10, breaking the ton ! Truly I was, still am, over the moon with that result. Not sure if I want to try it again, I really like the 10km runs and the training for the half marathon is long, but still to reach an achievement is just such a great feeling too! The Portlaw to Kilmedan road is one I travel a lot as it’s the main part of my journey to work every morning so getting to run on this road was a small treat I was looking forward to. So it’s race 2 of the 3 Counties Challenge summer series 2013, a series of 5 races organised by the Carrick Roadrunners. For this run I’m finding it hard to get the miles right in my head, it’s so strange I have kilometres ingrained in my brain, but thinking of a run in miles is just off putting. There were loads of people under starts orders and even with the wide roads of Portlaw, it was pretty packed for the first “mile”. Again and again I just seem to rush things I caught a glimpse of 5:55 off the watch at the 1st mile marker, which by quickly calculations was just way too fast for a first mile, in in the scheme of my target time. The next mile wasn’t too bad either, but then, just then the quick start caught up with me and from the 2.5 mile point I say until mile 4 I found it tough going. However the final mile run into Portlaw was great, I recognised the scenery (and it was more down hill), which placed me a in comfort zone I managed a good run to the line. Off the watch I caught a time of 33.57 and from the results sheet I had a gun time of 33:58. Finishing 91st out of 245 runners. 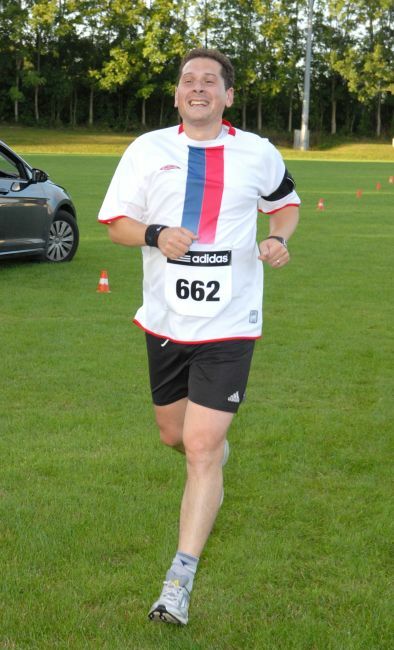 I was really happy with this, the goal time was 34:00, I was right on track with 33:58, even though I was a bit off cue at the start, and as the photo shows just a few steps ahead of a number of runners. 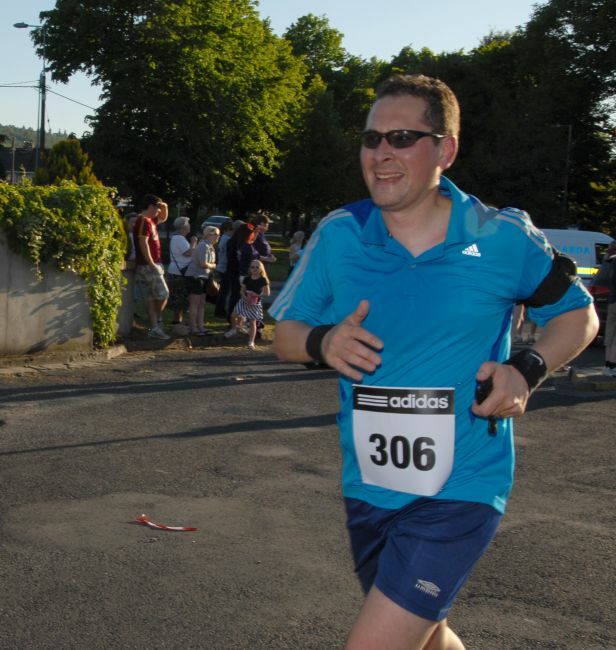 This was the first run of the 3 Counties Challenge summer series 2013, a series of races organised by the Carrick Roadrunners. 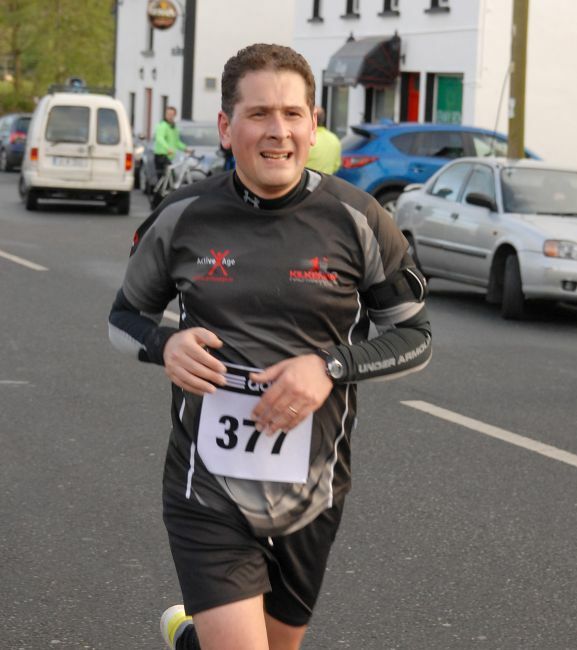 The Faugheen 5K was out in the lovely little village of Faugheen, which is just north of Carrick-on-Suir and really is on the boarder of Kilkenny – Tipperary and believe the centre of a lot of rivalry. 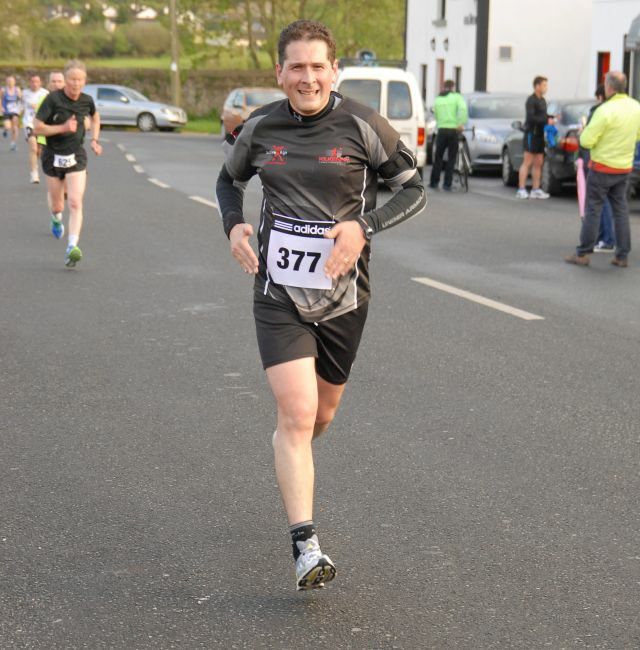 The course in this case was essentially a run around the block of Faugheen finishing up in the centre of the village. I’ve not been feeling the best for the last 2 weeks, blocked nose and all so there hasn’t been too many training miles put in, so I was unsure as to how this run would pan out. It was cold, damn cold at the start line, but the crowd of over 200 at the start line kept the breeze away. The pace at the start was mighty quick, in fact too quick I clocked a time of 3:45 for the first 1Km and even 3:55 at the 2Km mark, but I just wasn’t able to keep that pace going for the remainder of the run and so dropped back a bit. 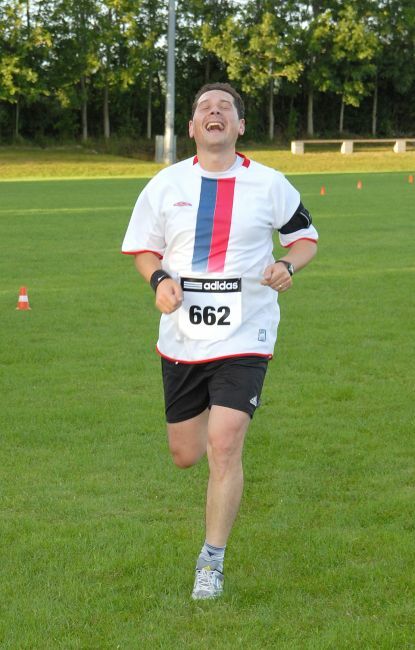 Once I found my rhythm my legs were a little heavy, but I carried through and clocked a time of 20:21 on my watch. From the official timer I had a gun time of 20:27, a chip time of 20:22, and out of 213 participants I was placed 77th. I’m not unhappy with the overall result, but I must get back into the training plan.